The Invacare Matrx Elite Deep Back Cushion is designed with a 6-inch contoured foam lumbar pad to provide optimal postural support. 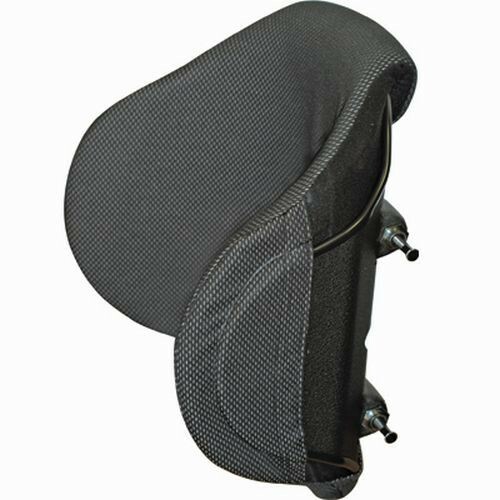 The Wheelchair Cushion comes with a lightweight shell with hardware to secure to the wheelchair to offer precise orientation to relieve pressure when sitting for an extended length of time. 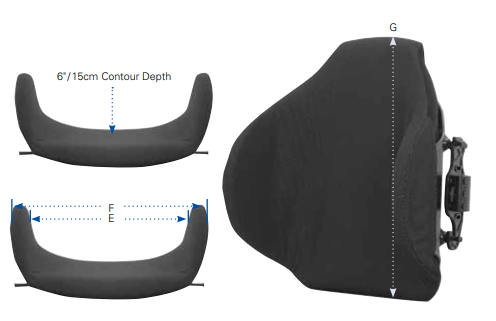 The contour provides lateral trunk support without hindering hip and shoulder movement. The mounting plates come pre-assembled on the cane clamps to maximize the seat depth on the wheelchair seat. The Matrx Elite Cushion is customizable by changing the orientation of the mounting plates on the cane clamps should you desire a forward mounting position. The "Easy Set" hardware makes it installation-friendly and installs within minutes. It comes with a breathable and moisture resistant mesh outer cover to protect the foam cushion. The cover can be wiped down with a damp cloth as needed. It's secured with simple hook and loop fasteners when removing it for laundering. Invacare Matrx Elite Wheelchair Cushion is available in a variety of back widths and height combinations. The cushion is designed to support a maximum weight capacity of 300 pounds. Invacare also manufactures the Matrx PCS Back Cushion, made with a 3-inch contour depth in regular and tall lengths.